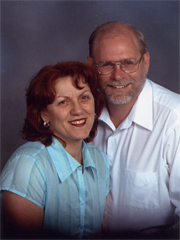 Harvey and Maria Skinner are missionaries with the Assemblies of God - USA. They have worked for more than twenty-five years among Muslims in different places like Pakistan, Iraq, and North Africa, and now reside in Europe, where there is a rapidly growing Muslim population. In 2002 they became aware of the rapidly rising numbers of Muslims in Europe, and also saw there was a great need for training and teaching on Islam in order for Christians in Europe to know how to reach Muslims for Christ . Engaging-With-Islam.com and its ministries in India is not affiliated and funded by any Mission or Organization. Engaging-with-Islam under INF® (International Neighborhood Foundation) Ministry in India affiliated with a local based Assembly and reaching out Muslims of India through Outreach and Web Ministry. We Partner and work together on a common ground with like minded Christian individual, Mission/Organization and exchange each other resources which are Doctrinal Sound, Relevant and useful for Muslims Ministry. Seminar on Islam is carefully examined and found ONE OF THE BEST SEMINARS on Islam and Gospel to Muslims. We strongly endorse and recommend it to all Christian Individuals/Churches/Mission Leaders and Bible Colleges to use these Seminars to equip the Body of Christ for Muslim Evangelism. Do you want your Church /Bible College to have a Seminar on Islam? Contact us: Seminars are conducted by ONLY Muslim Background Believers. We also provide plenty of Books/Bible/Literature/Tracts and DVDs Free of cost to use it for Muslim outreach. Part 3: How To Share Christ?